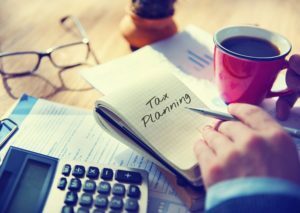 Planning your finances before you become liable for U.S. taxes or find the U.S. trying to tax your worldwide income can save you a significant amount of money. 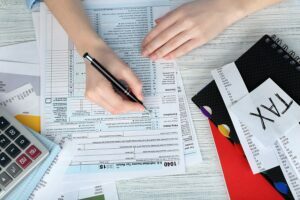 Taxes can be expensive and burdensome, but there are ways to minimize your tax liability the legal way. If you’re planning ahead, here are key things to consider and effective ways to save on taxes. It’s important to know your status – tax resident status is NOT the same as immigration status. In the United States, even temporary visitors can be tax residents if they spend a certain amount of time in the country. If you are a nonresident alien and you’re planning to stay in the U.S. for some time, make sure you understand when you might convert to a Resident Alien for tax purposes. Here is a useful calculator that can help you determine if you meet the Substantial Presence Test. The Green Card test is easy. If you are an immigrant who is a Lawful Permanent Resident, otherwise known a Green Card holder, and you spent at least one day in the United States, you are automatically a tax resident. If you don’t meet this requirement, take the Substantial Presence Test. There are exclusions from the countable days such as staying in the country for medical treatment and stopping by while traveling between two countries. Some visa types like F-1, F-2, J, J-1, and J-2 are also exempted from the Substantial Presence Test (SPT). If you pass the SPT, you will be taxed as a U.S. tax resident (a resident alien). If not, you will file taxes as a nonresident alien. The most important difference between being taxed as a resident alien versus a nonresident alien is that resident aliens are taxed by the US on their US income AND worldwide income. Nonresident aliens are only taxed by the US on their US income. Another scenario where you may be taxed as a resident is if you surrendered your green card, but you did not comply with the notification requirements. If you want to abandon your Lawful Permanent Resident status you need to file Form I-407 with the Department of Homeland Security. Although this may provide you with tax relief, it has permanent consequences to your immigration status as well. Speak to an immigration attorney before filing Form I-407. To change your tax status, you also have to file Form 8854 with the Internal Revenue Service (IRS) and pay exit taxes if applicable. 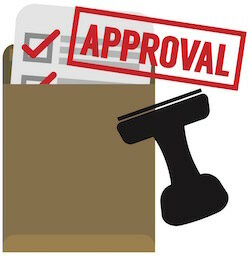 You will also need to comply with the notification requirements to the applicable department which is either the Department of State or Department of Homeland Security. Some statuses are exempt from being taxed as a resident alien – are you one of them? *Students on visas enjoy a five-year exemption while teachers and trainees holding J or Q visas are exempt for two calendar years every six years. Your “tax home” is in a foreign country and, often, this is your permanent residence and where your personal belongings are, and your family resides. You are in the US for fewer than 183 days for the calendar year. You have to file Form 8840 and claim a “closer connection” to a foreign country. If the IRS establishes that your contact with your home country is more significant than the US, you can continue to enjoy the benefits of being a nonresident alien. Be aware of the income and asset reporting requirements depending on your status. According to IRS, you can determine what income to report based on your status. If you meet the requirements as a tax resident, you need to report U.S. and worldwide income to the IRS. While you may not be taxed for the entire amount, you still have to meet the reporting guidelines and prepare to pay tax based on your worldwide income. CitizenPath does not provide tax, legal or accounting advice. This material has been prepared for informational purposes only, and is not intended to provide, and should not be relied on for, tax, legal or accounting advice. You should consult your own tax, legal and accounting advisors before engaging in any transaction. CitizenPath partner MYRA Wealth specializes in financial, investment and tax planning for international and multicultural families in the United States. 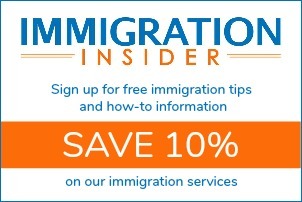 If you are a U.S. immigrant with complex tax or financial needs, schedule a free consultation. Related article: 4 Actions To Reduce Your Taxes When Moving to the U.S.